Donald J. Trump, chairman and president of The Trump Organization, accompanied by Donald Jr., Ivanka and Eric Trump, executive vice presidents of development and acquisitions, as well as special guest Jack Nicklaus and members of the Nicklaus family, officially opened Trump Golf Links at Ferry Point, the most anticipated new course in the country. The event took place Tuesday, May 26. Donald Trump, along with Ferry Point course designer and golf history’s greatest champion Jack Nicklaus, completed the long-awaited course, which is now open and already receiving rave reviews. Trump Golf Links at Ferry Point, located just minutes outside of Manhattan, marks the first public course to open in New York City in more than 50 years and offers New York City residents a championship caliber, luxury resort experience unlike anything else. Joining Tuesday’s Grand Opening celebration were members of the Trump Family, Jack and Barbara Nicklaus and family, as well many New York City officials. Nicklaus, winner of a record 18 professional major championships, a 2015 recipient of the Congressional Gold Medal, and Golf Magazine’s 2014 Architect of the Year, points out that the Big Apple’s newest golf course was designed with all golfers in mind, but also with the ability to host a major golf tournament. After the ceremony, which included remarks from Mr. Trump and Mr. Nicklaus, each put their signature on the event by hitting ceremonial tee shots. Members of the Trump family—daughter Ivanka, and sons Eric and Don Jr.—also took their swings to commemorate the day. Golfers can reserve tee times by visiting www.trumpferrypoint.com, calling 718-414-1555 or emailing info@trumpgolflinks.com. 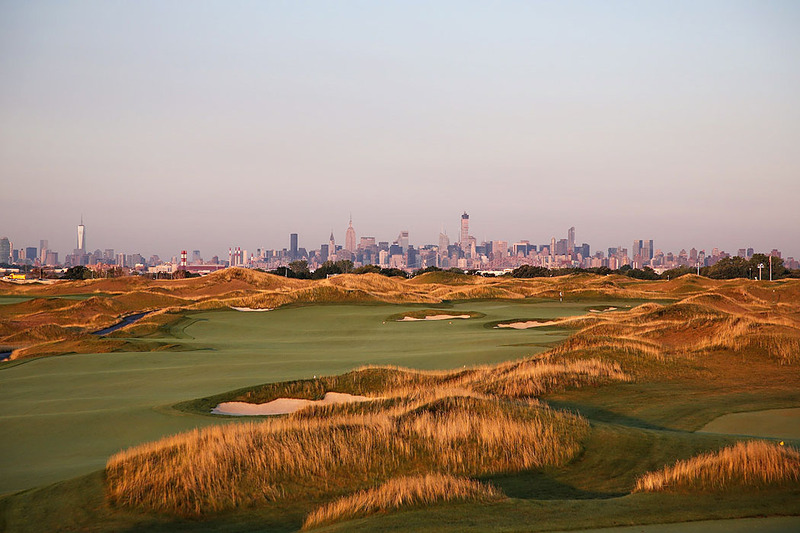 Trump Golf Links at Ferry Point is expected to greatly enhance the golf experience for everyone in New York City, but especially in The Bronx.